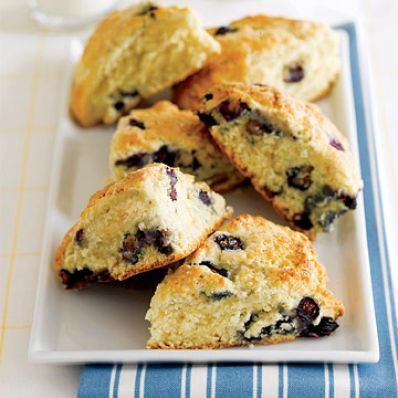 When you have overnight guests, treat them to a basket of warm lemony scones dotted with blueberries. They're easy to make for an early breakfast and taste great with coffee or tea. 1 of 4 Heat oven to 400 degrees F. Spread a large sheet of parchment paper on countertop. 2 of 4 Combine flour, sugar, baking powder, baking soda and salt in large bowl. Add butter; mix with pastry blender or fork until mixture resembles coarse crumbs. Gently stir lemon-juice-milk mixture into dough, along with blueberries, lemon peel and egg, just until combined. 3 of 4 With floured hands, pat half of the dough into a 7-inch circle on one end of the parchment paper. Repeat, with remaining dough, spacing 2 inches apart. Brush with egg white; sprinkle with sugar. Cut halfway down but not through each circle, 6 wedges for each round. Slide paper with dough onto baking sheet. 4 of 4 Bake at 400 degrees F for about 18 minutes or until golden brown. Remove to wire rack to cool slightly. 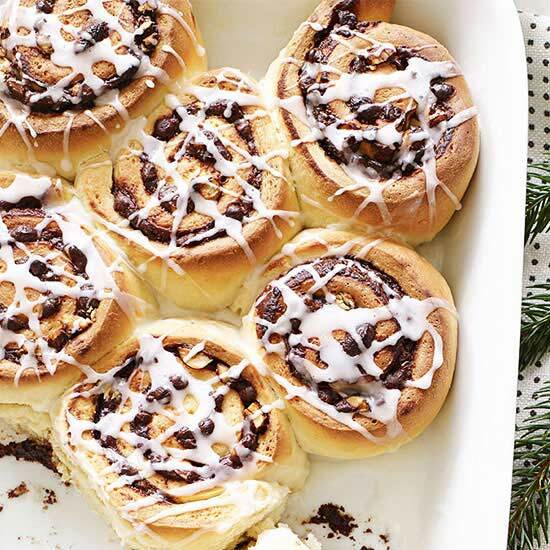 Pull apart at cut lines. Serve warm or at room temperature.